Honor Her scholarships help college-age women explore future ministry possibilities through participating in short-term missions. The funds come from gifts of women who wish to honor other women who lived lives of faithfulness and service to the Lord and who had a heart to spread the gospel to all people of the world. Gifts can be given in memory or honor of a woman who has died, or in honor of one still living. Scholarship recipients are selected through interviews with representatives from Grace College and the Women of Grace leadership team. Heather Speckman is from Dayton, Ohio, where she attends the Basore Road Grace Brethren Church (Skip White, pastor). She will spend four weeks in Bangui, Central African Republic this summer. She is going with a team through Grace College led by Mike and Myra Taylor, who work with Grace Brethren International Missions, and who served as missionaries for many years in the CAR. This trip is fashioned to offer the team a realistic picture of what cross cultural mission work looks like in Africa, and to mobilize them to serve the Africans in the way that they most need our help. The proposed schedule for the trip includes two weeks of training and hands-on experience in cross-cultural ministry; one week living individually in the home of Africans with specific cultural and ministry assignments; and one week working with Africans on a ministry project to help the people of Bangui. Julie Shearer was born and raised in Elizabethtown, Pennsylvania, where she attends Mount Calvary Church. She is a sophomore at Grace College, studying Counseling and Intercultural Missions. She has served in Honduras, Liberia, Africa; Mexico, and New York City for missions trips in the past. This summer she will serve in the Philippines. 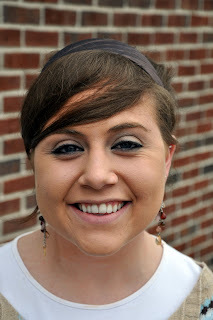 Julie says, “I feel pulled toward orphan care for the future, which is why I chose counseling for my major at Grace. I would really love for God to use me to counsel abused kids and children suffering from posttraumatic stress disorder, or other ailments. More information is available on the Women of Grace USA website at www.womenofgraceusa.org.